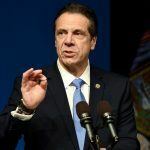 New York Governor Andrew Cuomo has reaffirmed that online sports betting is not welcome in the Empire State on his watch in a fresh blow to two state senators’ efforts to legalize it. 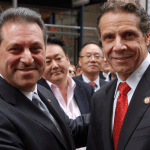 Cuomo has previously said that online sports betting would violate the state constitution. 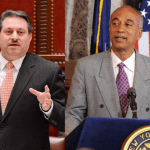 Assemblyman Gary Pretlow (D-89th), who — along with Senator Joseph Addabbo Jr. (D-15th) — is trying to prove otherwise, said recently he “had it on good authority” that the governor had backed away from his stance. “I am not a fan, pardon the pun, of the new mobile sports betting,” he told WAMC radio this week. “You can bet any time from your cell phone. “We have sports betting that you can do through a casino and we are trying to support our casinos, which we did primarily upstate as an economic development vehicle. I’ve never been crazy about casinos, but life is options,” Cuomo added. 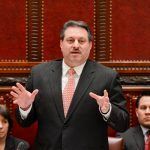 New York residents approved an amendment to the state constitution in 2013 when they not only voted to authorize commercial casino gaming but also sports betting, in the event that the federal ban was lifted. Since the US Supreme Court’s rejection of that prohibition last May, all that was needed for the four Upstate casinos created as a result of that public referendum to move ahead on sports betting was a framework of regulation and taxation from the state gaming regulator. When that arrived, in January, it made no mention of online wagering or of any intention to include any other New York gaming operators other than the four casinos. The consensus between Cuomo and the regulator was that to do so would require a new public referendum amendment to the constitution. Pretlow and Addabbo have argued that this need not be the case. They believe online betting could be constitutional because because it would technically be taking place inside the casinos where the servers processing the bets would be located and therefore would not constitute an expansion of gambling. Rhode Island recently passed a bill to authorize online betting using the same legal reasoning. 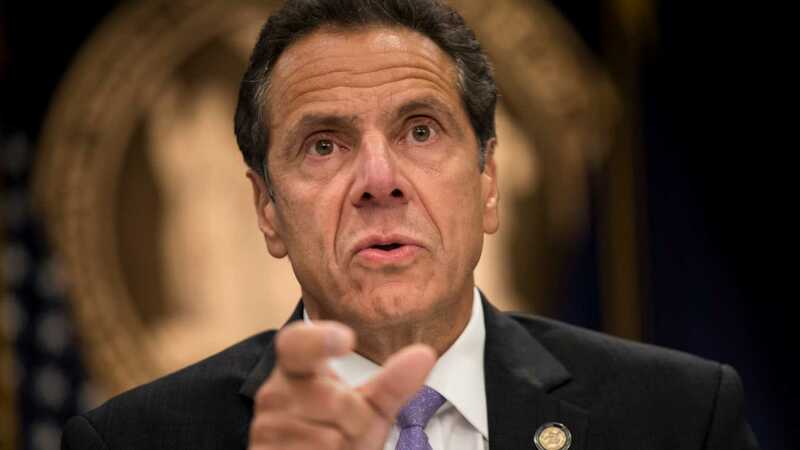 The two lawmakers recently submitted bills that would allow stakeholders in the gambling industry to partner with the state’s four casinos as sports betting “affiliates,” but even if the legislature swallows the legal nuances, there remains a possibility that Cuomo could veto it. As the state with by far the largest population to legalize sports betting so far, New York has the ability to quickly surpass Las Vegas as the biggest market in the US. Analysis by Eilers and Krejcik Gaming suggests that land-based sports betting alone could generate $532 million in annual gross gaming revenue — but that’s provided all stakeholders participate. Online betting would boost those figures further — if the fledgling New Jersey market is anything to go by, where 80 percent of bets are now placed online. Cuomo is working to plug a budget deficit of $2.3 billion for the upcoming fiscal year, but he’s not sold on the economic benefits of sports betting, or on the New Jersey model.